We’ll start with esta semana’s pick to click, and it’s a weeper. It turns out Edwin Luna, lead singer of La Trakalosa de Monterrey, is very convincing portraying un “Adicto a la Tristeza.” It helps that his voice chimes like a throaty bell. Luna’s labelmate and guest singer, Pancho Uresti from Banda Tierra Sagrada, is somewhat less convincing because his voice is scratchy. When the woman in the video spurns his advances, he’ll feel nothing and should be able to pick up pretty easily with someone else. I myself am addicted to the urgency of their chorus melody, and a quarter-million Youtube viewers in the past two days seem to agree. and I’m not sure if this counts, but Graciela Beltrán throws herself into a new ballad, “Qué Tal Se Siente,” and it’s good to hear her voice. The big new album this week is Alfredo Olivas’s El Privilegio (Sahuaro/Sony), which originally seemed to have come out late last year but maybe it was leaked. Olivas is an alumnus of several labels, including Fonovisa and the aforementioned Hyphy, here making his Sony debut. He’s also written songs for big names, so maybe Sony sees in his boyish grin the next Gerardo Ortiz? The quintet Los Ramones de Nuevo Leon’s Con La Rienda Suelta (Grupo RMS) exists, as does a new retrospective from hyphy floggers (and Hyphy alums) Los Amos de Nuevo Leon, 20 Éxitos (Mar). And I’m confused about Hyphy alums Los Rodriguez de Sinaloa — didn’t they just put out an album? Well, there’s another one out there called Entre El Rancho y La Ciudad (Independent), which so far seems more energetic than Sr. Olivas’s album. What’s that? — you’re worried Hyphy music is under represented? 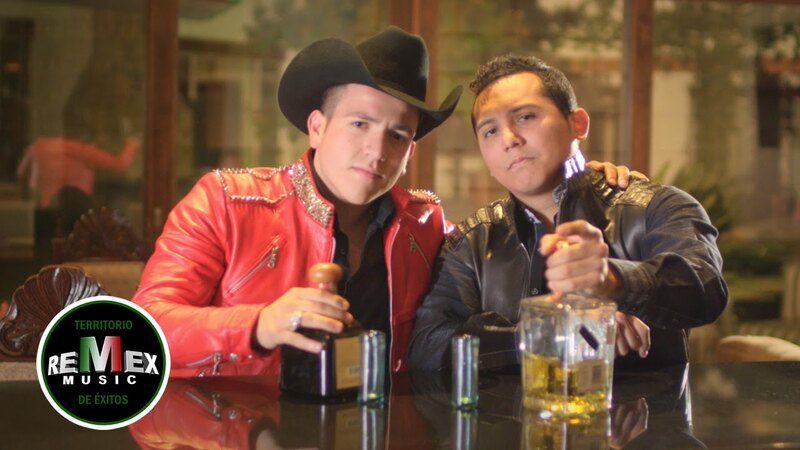 — very well, the trio Los Kompitaz released 12 Corridos y Canciones at the end of 2014. Accordionist, singer, businessman, and crier of single tears Fidel Rueda releases Música del Pueblo on his own Rueda label. His latest single “No Te Vayas” has stuttering accordion and horn lines that sound like they’re fighting to squeeze through his tear ducts. Feeling romantic and/or cash-starved, Fonovisa has released it’s annual Bandas Románticas de América comp, which last year sucked. As companion pieces, they’ve compiled 20 Kilates Románticos for a bunch of groups, including Recodo, Primavera, Bryndis, Bukis — you know, groups who have never been compiled before.